From the outside, this home looks like it could only hold a handful of dolls. Yet the inside is surprisingly roomy. The entire house is made of wood. The small living room has just enough space for a small sofa and chair. Wooden stairs that lead up to a lofted bedroom also double as shelves. The small window doubles as a writing desk when open. The house also features a small kitchen. 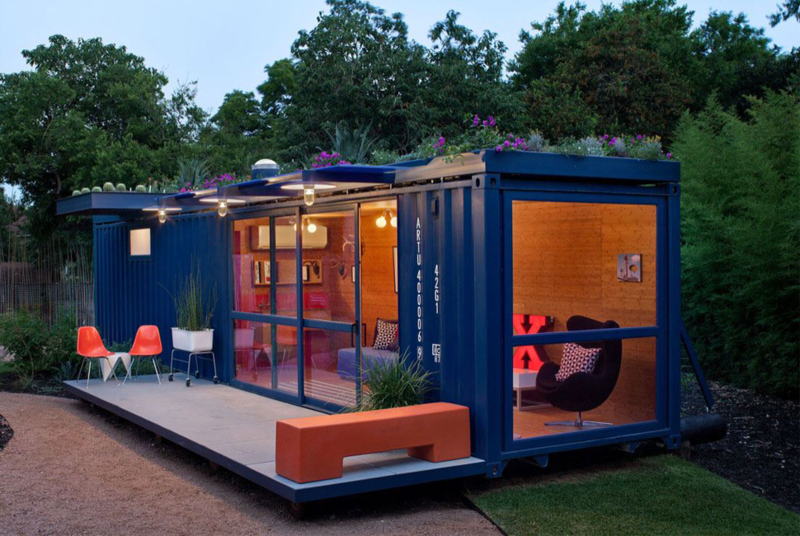 This stunning blue home was created by Container Concepts. The eye-popping exterior still has the container’s original identification number painted in white. The patio is made of concrete and fits one-to-two people comfortably. Windows cover nearly two entire sides of the container. 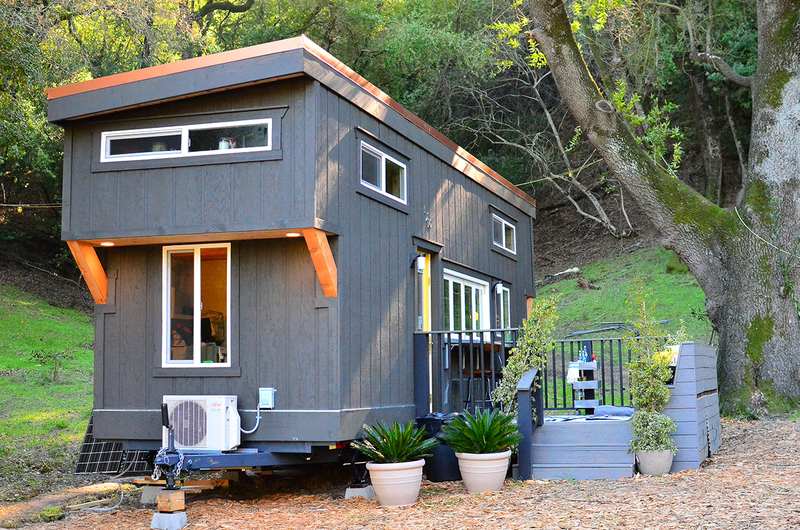 Inside, there’s just enough space for a studio-sized apartment. The main living area can be converted into a bedroom at night. The container also holds a small kitchen. The wood-paneled walls offset the blue exterior. The roof has enough space for a stylish and functional garden. 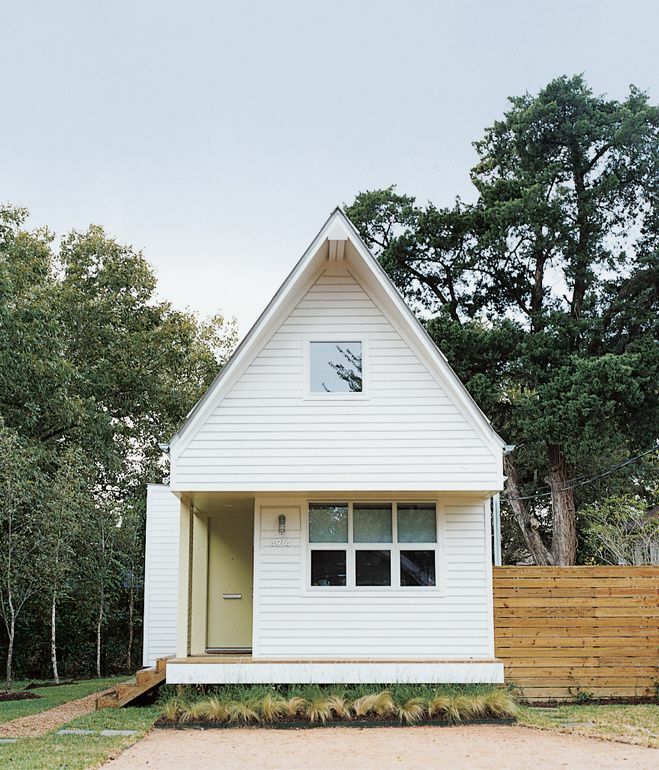 Not only is this tiny house one of the most contemporary on the list, it’s the only one that comes with a built-in carport. Built in response to Tokyo’s strict laws that require neighbors’ homes are not cut off from natural light, this house has plenty of angles and sloped ceilings. It also features three floors and a basement for plenty of useable space. The bedroom is located in the basement for optimal darkness during sleep. The top three floors, on the other hand, offer plenty of light. In addition to the carport, the ground floor also has an entryway with a small sitting room and a half bath. The second floor houses the living room and kitchen. The third floor has a study. Large windows on the second floor offer plenty of warmth and light. The study has a skylight to reduce energy. The kitchen has a sink, range and small dishwasher. 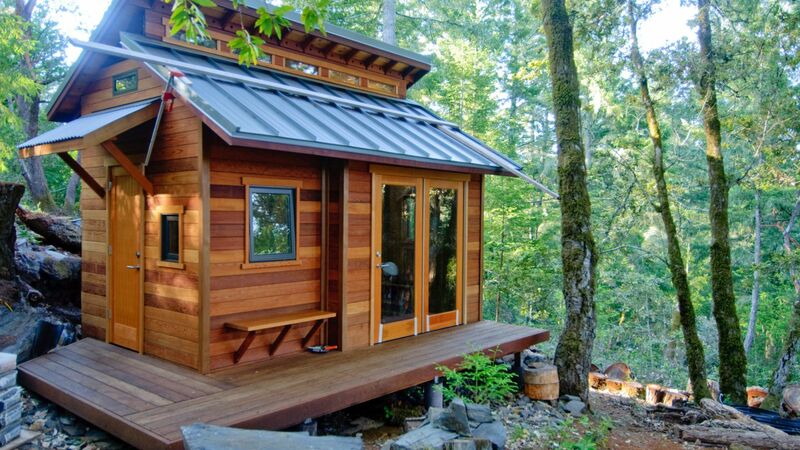 You’d want to go camping every summer if this were your cabin! 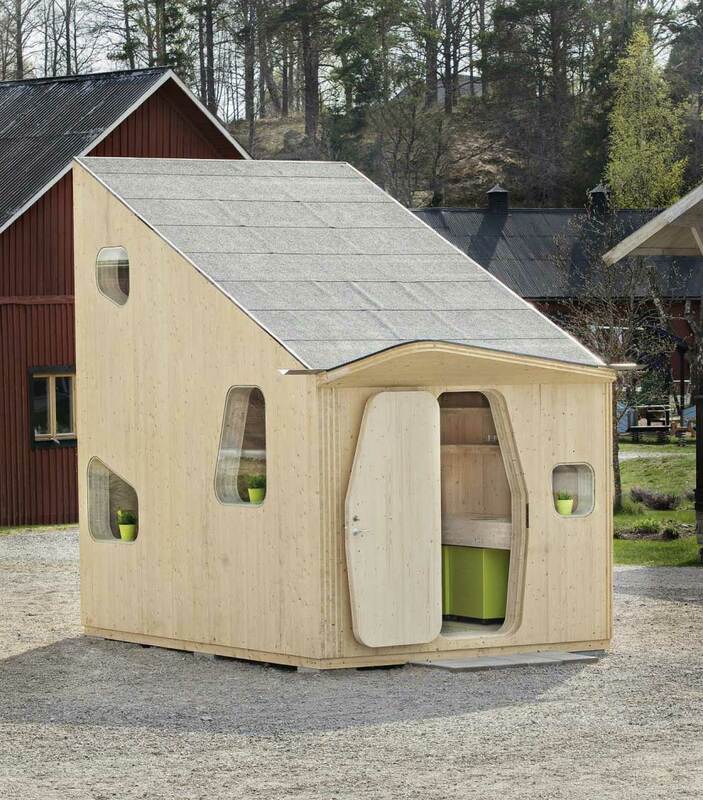 Though this structure was built to store athletic gear, it has just enough space for a weekend getaway spot, too. The vaulted ceilings offer the illusion of space—without adding square footage. The lofted bedroom area has plenty of light thanks to the small windows that line the perimeter. When it comes to storage, built-in solutions are king; this home has a built-in exterior bench and built-in shelves. The sliding glass doors lead out to a long porch that nearly wraps around two sides of the structure. This house has all the class and charm of an apartment in Tudor City in Manhattan. It’s also nearly the same size. Yet this house can literally travel the world. 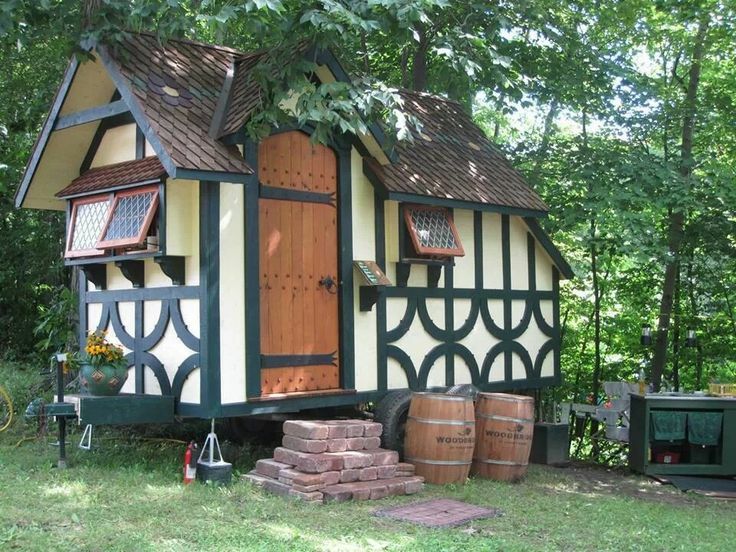 But don’t let yourself be fooled it is not a usual tiny house. The arched front door leads into the camp shower area. Small cottage windows tilt out to allow fresh air into the Tudor shower trailer. The gabled roof adds plenty of storybook charm. Brick steps lead to the front door and can be moved from place to place with the house. 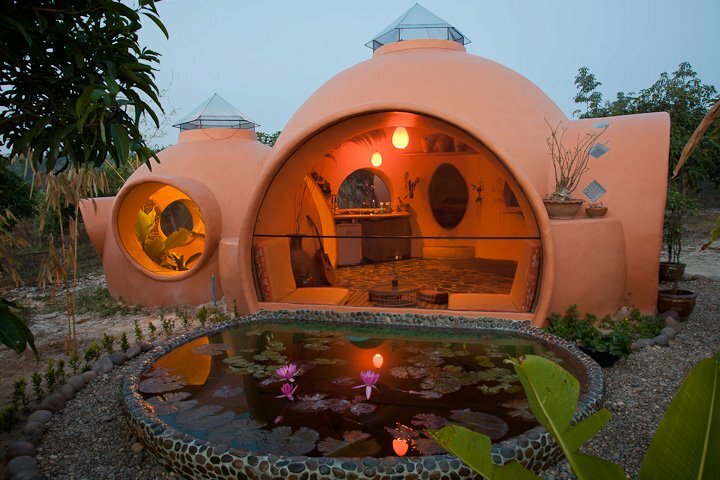 This cement and clay home looks like it belongs in Taos, New Mexico, yet it was built in Thailand! Welcoming its surroundings with several circular windows, the home does a fantastic job embracing nature. The front yard has a lovely lily pond—perfect for morning meditation. A small bedroom is located in its own bulbous pod and features two windows and a circular entryway. The kitchen has stone floor tiling, a breakfast nook made of tree trunks and plenty of shelves for cooking supplies. The house also has an interior water feature to ensure that the inside and outside boundaries are always fluid. 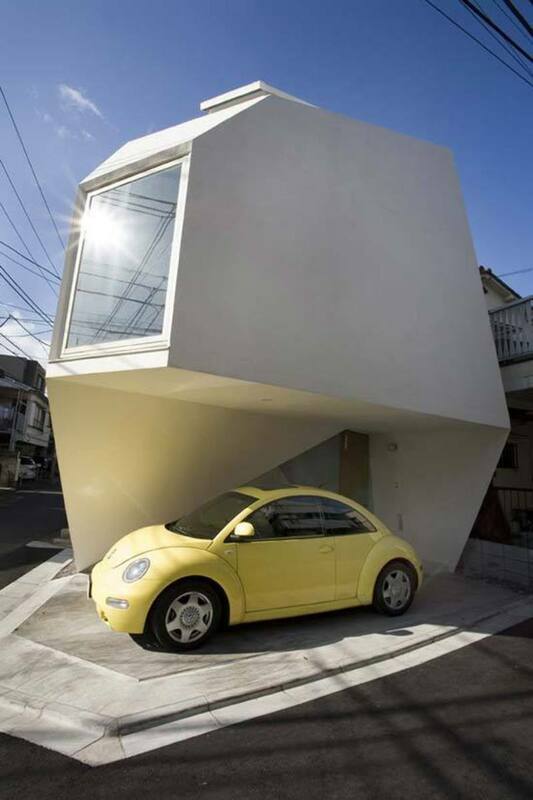 Some houses are just made for fun! This house was designed with entertaining in mind. With plenty of space for guests, it features an inside-outside bar, spacious dining room and comfy living room. The galley kitchen has enough room for food prep and is adjacent to the dining area—so you can keep an eye on your guests while you cook. Sleeping is the last thing on your mind in a house made for socialization, yet the lofted bedroom is easily accessed through a set of narrow stairs (no ladders required!). The accordion window allows for plenty of natural air when the weather is nice, and it seals shut on rainy days. Get into nature—Swiss Family Robinson style (without hostile pirates). 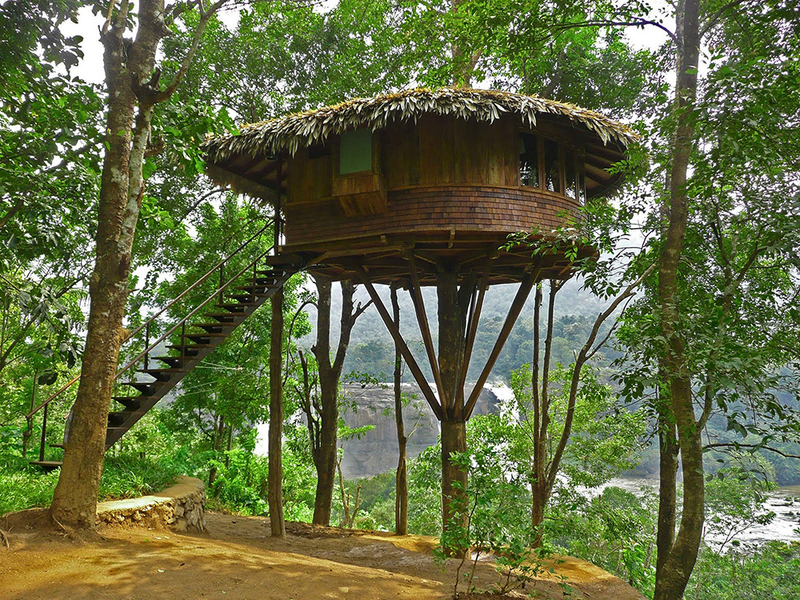 Since tiny houses are meant to easily incorporate into nature, treehouses are a no-brainer. Elevate your lifestyle by erecting a home in a backyard tree. This one uses natural materials for the roof, a curved exterior wall and a set of steep stairs. Windows wrap around almost the entire home. Some of the best views can be seen from this high, so stock your home in a tree with plenty of binoculars. This steeply gabled home has both romance and style. The two floors offer plenty of space. The lofted bedroom has plenty of light—thanks to the small window on the second floor. Raised on a platform above a bed of moss, this home is happily protected from possible flooding or pests. The small porch in the front of the home is the perfect place to entertain friends on summer nights or sit with a cup of tea on a chilly autumn evening. The natural wood fence offers plenty of backyard privacy and protection from street noises.